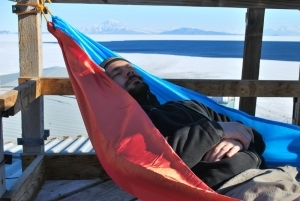 Color Cloud made it to the 7th continent! 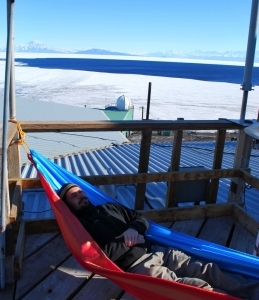 Thanks to intrepid adventurer Mark Walsh for putting Antarctica on our map. 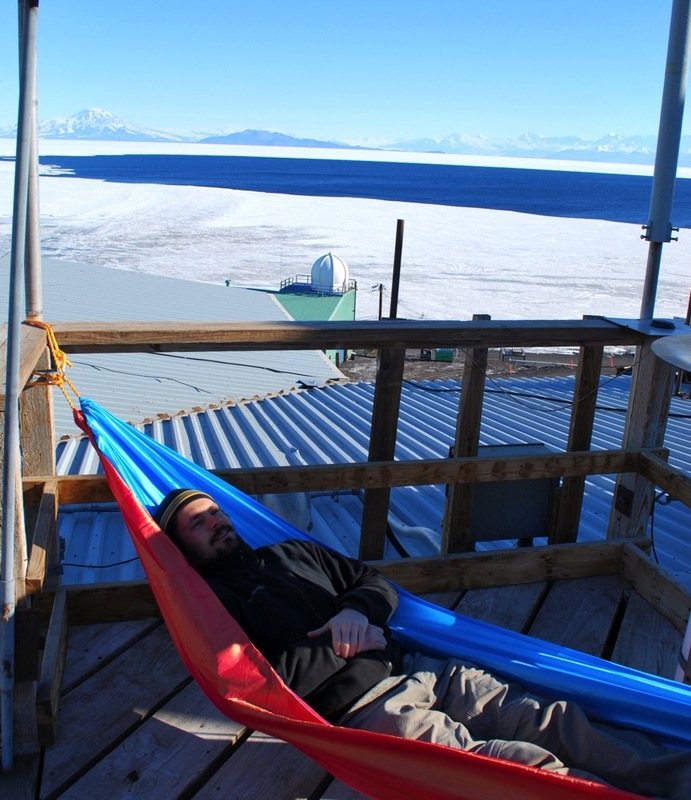 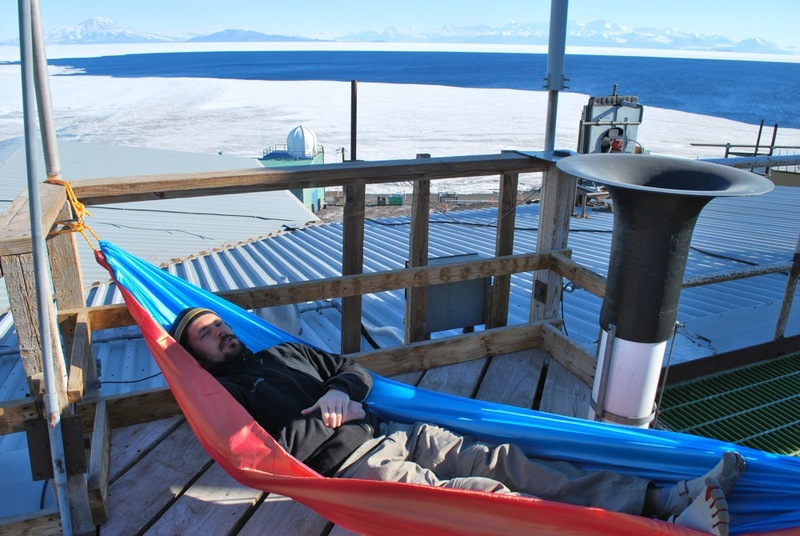 Despite the general lack of trees and other “normal” hammocking situations, Mark persevered and sent us pictures of his Lifeboat napping station on top of the weather office at McMurdo Station.